136, Hubcaps used, 14", 78-83, AMC, CONCORD, GREMLIN, MATADOR, SPIRIT, PACER, CHROME, 40 RIBS W/ BLACK PAINT BETWEEN RIBS, MACHINED DOMED WITH BLACK & CHROME CENTER RAISED CHROME LOGO. 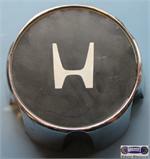 3124a/3083a, Hubcap CENTER USED, CHROME OUTER RING, BLACK BACKGROUND, CHROME WORD LANDAU, 2 METAL CLIPS, 2-1/4" DIA. ORDER UNDER 3083a HUBCAP CENTER. Price: ORDER UNDER 3083a HUBCAP CENTER. 3215, CENTER CAP USED, 97-00, MERC, MYSTIQUE, BLACK, CHROME LOGO, PLASTIC CLIPS, 2-1/2" DIA. 3215, CENTER CAP USED, 97-00, MERC, MYSTIQUE, BLACK WITH CHROME LOGO, PLASTIC CLIPS, 2-1/2" DIA, FOR 15" ALUM 6 SPOKE RIM. 3467a, CENTER CAP USED, 17", 00-02, F150 EXPEDITION, NAVIGATOR, CHROME, 14mm, 5 CUT OUT FOR SPOKES, BLACK CENTER, CHROME WORD FORD LOGO, 5-1/4" DIA. 3629a, CENTER CAP USED, 17", 06-08, LINCOLN MKZ, Zephyr, CHROME, BLACK & CHROME LOGO, BLACK ENGRAVED LETTERS, 5 PLASTIC CLIPS & WIRE RING, 6-5/8" DIA. 5148, CENTER CAP USED, 15", 02-05, CHEVY, MALIBU, WITH BLACK CENTER & CHROME OUTLINED CHEVY BOWTIE 5 BLACK [GRAY] PLASTIC LUG NUTS, ALUM RIM, 6-3/4" DIA..
59167, CENTER CAP USED, 15", 91-92, BMW, 318i, 325i, SPARKLE SILVER, 17 SPOKES, BLACK CENTER , BLUE/WHITE PIE SHAPED, CHROME BMW, 7" DIA. 63663, CENTER CAP, 82-83, HONDA, CIVIC, CHROME, POP ON. ONE LIP, BLACK CENTER, CHROME H, 2-1/4" DIA. 64201a, CENTER CAP USED, 94-97, HONDA, PASSPORT, CHROME OUTER RING , 6 CUTOUT TO MATCH SPOKE, BLACK CENTER, BIG H LOGO, 5-1/2"
64201a, CENTER CAP USED, 94-97, HONDA, PASSPORT, CHROME OUTER, 6 CUT OUT TO MATCH SPOKE, BLACK CENTER, BIG H IN CENTER, 3 SCREW HOLES ON BACK FOR MOUNTING. SCREWS NOT INCLUDED 5-1/2" DIA FOR A 16", RIM. 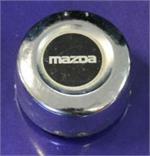 64651b, CENTER CAP USED, 86-93, MAZDA, B2600, CHROME WITH BLACK CENTER WITH CHROME MAZDA IN CENTER, 4" DIA BY 2", 4 METAL CLIPS, 5 SPOKE STEEL CHROME. Price: ORDER UNDER 69141 CENTER CAP. 69158/69141, CENTER CAP USED, 81-87, TOYOTA, CELIAC, COROLLA, SUPRA, GT. CHROME WITH 4 LUG NUT CUT OUT AND RIBS BETWEEN THE CUT OUTS. BLACK CENTER WITH RAISED CHROME LOGO. PUSH ON TYPE. 4" DIA. FOR A 14", RIM ORDER UNDER 69141 CENTER CAP.